With seafront views looking out towards the beautiful Isle of Arran, few hotels offer the same level of serenity that the Mercure Ayr Hotel provides. Ideally located in the heart of the historic seaside town, this 3-star hotel is perfect for weekend breaks, shopping days and self-contemplation thanks to the on-site Feel Good Health Club. A haven for sports fans, Ayr is within a 20-mile radius of 22 dedicated golf clubs and home to the prestigious horse racing Gold Cup. 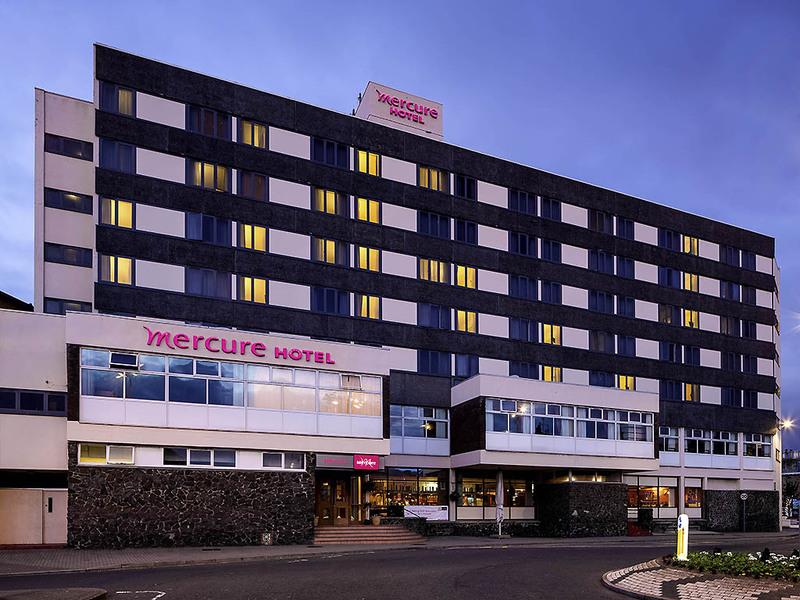 The Mercure Ayr Hotel is located in the town centre, 5 minutes walk from the railway station and 2 minutes walk from the bus station. There are 22 golf courses within a 20 mile radius from the hotel. All bedrooms feature a flat-screen TV and complimentary high speed WiFi. Guest rooms at the front of the hotel offer views of the Isle of Arran. In privilege and superior rooms you'll enjoy a Nespresso coffee machine, newspaper, robe and slippers. Pa rents appreciate the available family accommodation. Unwind in the Brasserie, for a chat over coffee or meeting over an informal meal, this styled restaurant offers a selection of internationally inspired dishes. Quick snacks to three course meals and are complimented by a range of fine wines.